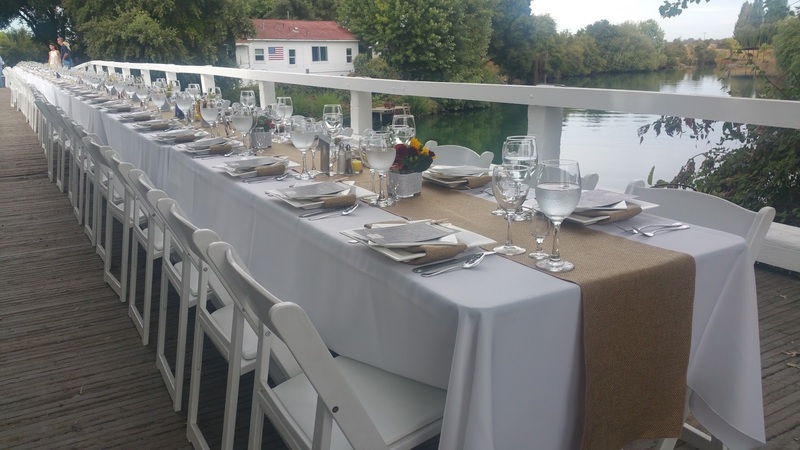 The dinner was cooked by Giusti's restaurant on the river. I've never been to it, but it's a local landmark, having been there for 100 years. My tablemates told me that they only accept cash and like so many other small, farm town communities, they and other local businesses still work on credit. Not credit cards, but actually just on your tab. Apparently they often barrel roast, or smoke, their meats and for this dinner they barrel roasted pork for hours. Oh, and there were pears, lots of pears. We arrived to find the picturesque bridge. There was wine and pear martinis. I was thrilled because they had craft River City Sodas as well. So often I'm only left with the choice of water. 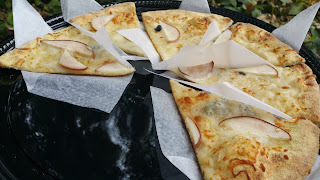 Our appetizers were pear and gorgonzola pizzas from Hot Italian. 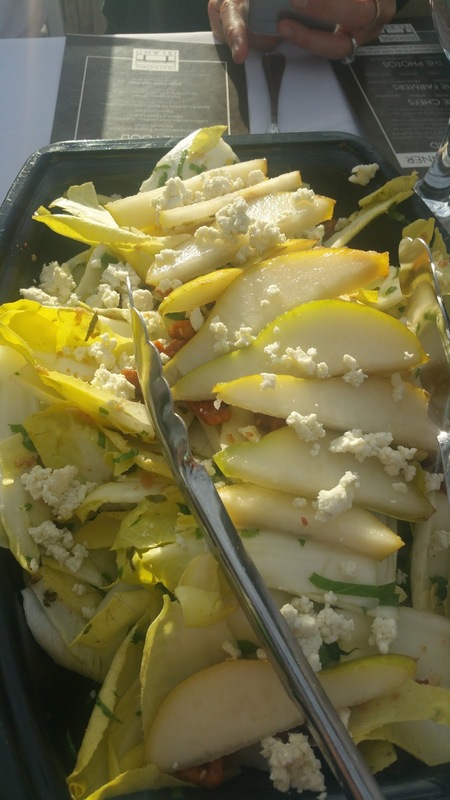 Pear and endive salad with blue cheese and walnuts. 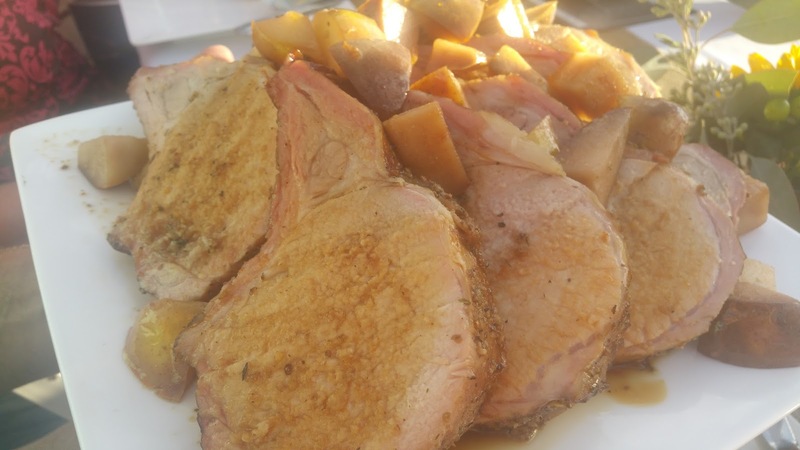 Barrel smoked pork rib roast with caramelized pears. We also had Dixon grown corn. 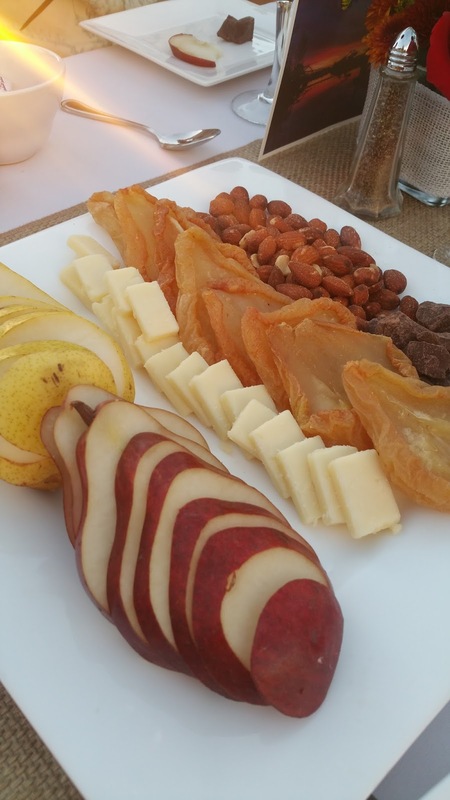 Pear and cheese plate with almonds and chocolate crumbs. 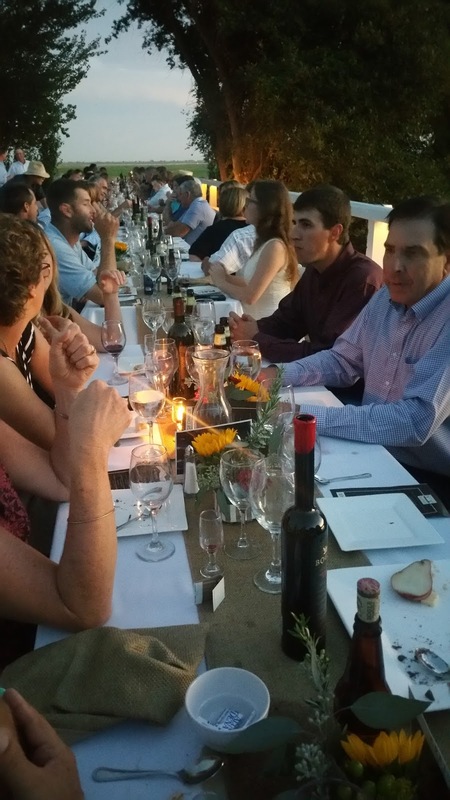 Wine was provided by Bogle Vineyards. 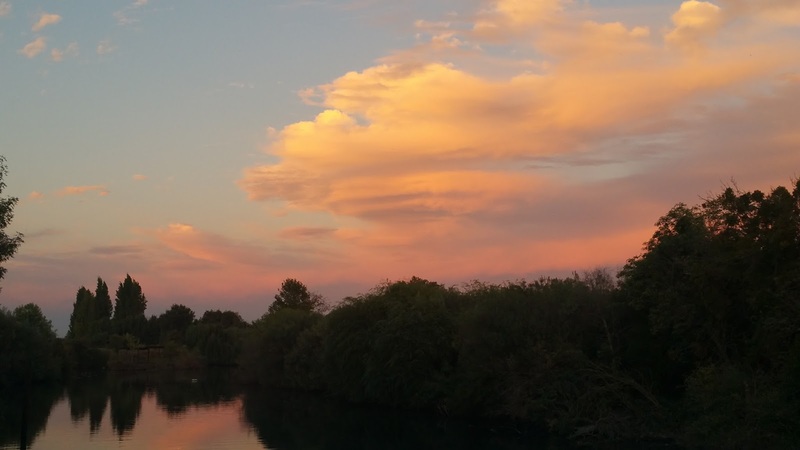 Thanks to their California Pear Advisory Board for their kind invitation to participate.